Haben Sie einen Sprachprozessor, den Sie zur Verfügung stellen können? Dann nehmen Sie bitte Kontakt auf zum CI Rehazentrum in Ihrer Nähe. We are writing to thank you for getting a battery holder for Nucleus Freedom free of charge. Our twin-sons have been using implants for 9 years. Now they are 12. They study at the secondary school having a chance to obtain good education, do sport and communicate with friends without any problems. 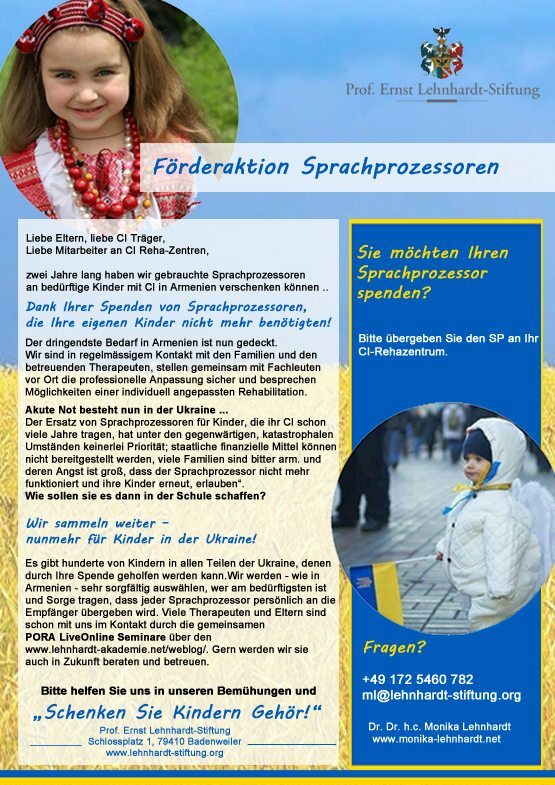 We would like to thank on behalf of all little Ukrainians who were supported by your fund in any event. It’s really great. Let God bless all of you.